anyways, our seating arrangement is limited and we have a sofa already. 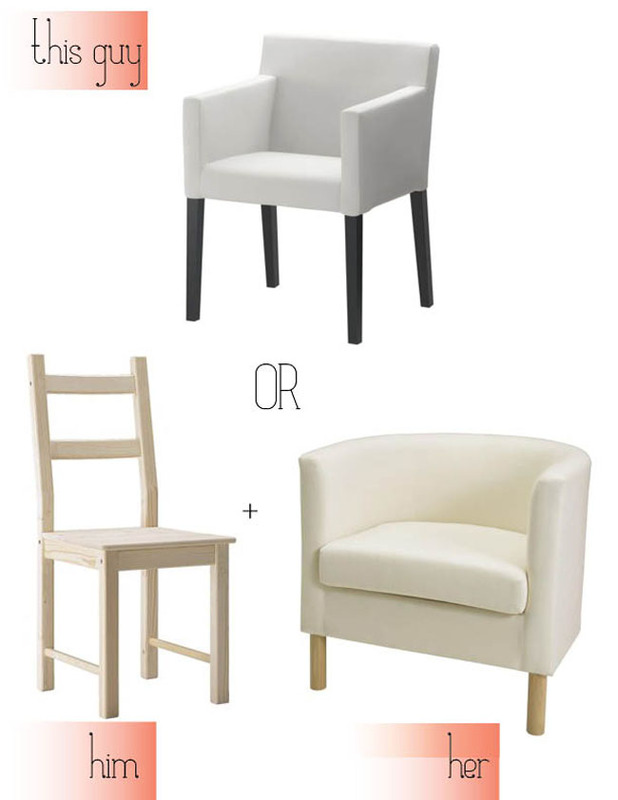 so i need to decide to purchase two of these chairs at the top of the image below to act as dining chairs and pull them over into the living area for guests OR purchase two of the wood chairs and one comfier arm chair. 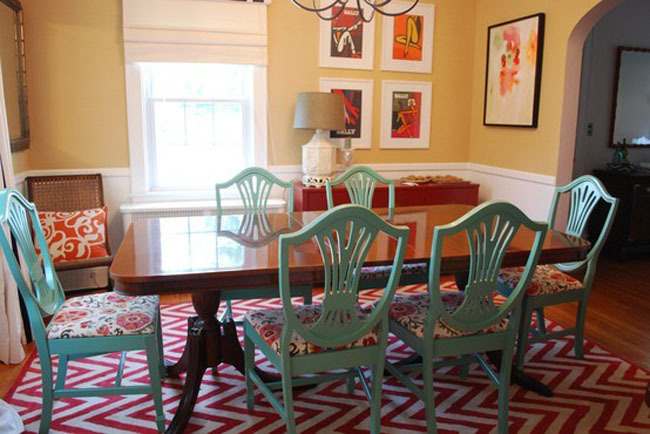 the idea of comfy dining chairs is appealing to me plus my all time fav designer chair (here) is similar to this one. 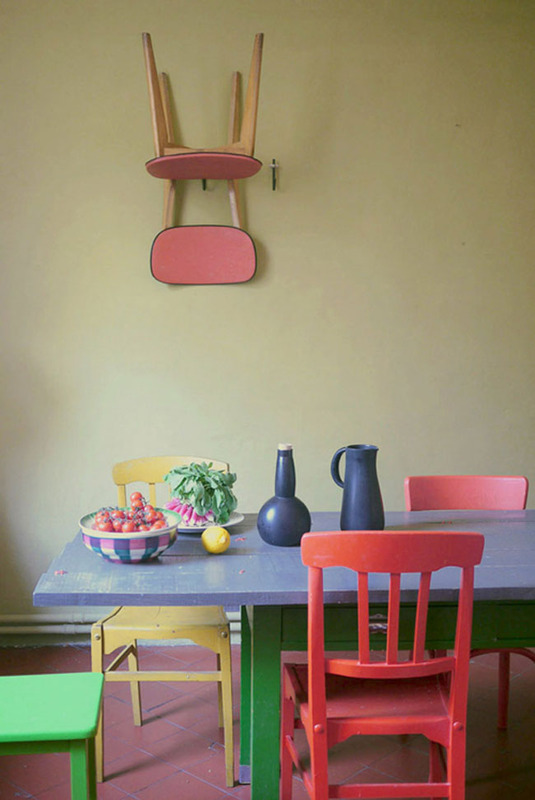 however, i love the idea of painting the wood chair a bright, fun color like these images below. i can't decide! which route would you take? let me know in the comments below! i do too :) that's the route i decided on!